How to buy the best ride-on lawn mower - Which? If you’ve got a large lawn, want to save some time on gardening or you’re just fed up of pushing a heavy machine around then a ride-on mower could be for you. Bearing in mind the cost – prices start at over £1,000 – it isn’t a cheap addition to your gardening toolkit, but it could be the best. Read on for guidance on the best types, features and brands. 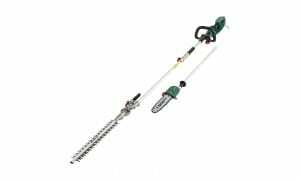 If your mower can't reach certain areas of your lawn, take a look at our grass trimmer reviews. Do I need a ride-on lawn mower? How much does a ride-on lawn mower cost? Which is the best ride-on lawn mower? Mulching or collection lawn mower? What is the best ride-on mower brand? It really depends on your property and your budget. If you have a small lawn and don’t want to spend more than £500 – no, a ride-on lawn mower probably isn't a priority. 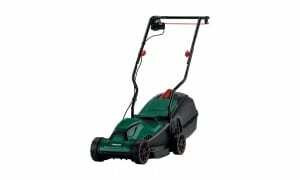 You might like to consider buying a petrol lawn mower or a powerful cordless mower instead, as these will tackle lawns over 150 sq m.
If reducing the work of cutting the lawn is your priority, a robotic mower is also a good option as it will look after the lawn by itself. Alternatively, you might like to pay for someone to cut the lawn and get rid of your mower entirely. Jump straight to our lawn mower reviews. If you have less than an acre of lawn to cut, then a ride-on mower with the cutting deck towards the front or even in front of the front wheels is a good bet. The engine sits at the back and they’re small, manoeuvrable machines, ideal for cutting around flower beds, trees and under furniture. Opt for a machine with mulching function. Mulching cuts the grass into fine pieces and blows it back into the lawn to rot down, which means you don’t have to deal with a grass box and disposing of the clippings. Extra power and twin, rather than single, blades. If you have a complicated garden or a lot of trees, a zero-turning circle mower will help you cut the grass right up against obstacles easily and corner smoothly. Generally, lawn tractors are larger than ride-on mowers. They have the engine in front and the seat behind, and rotary cutting blades under the seat. They have more powerful engines than ride-on mowers, which makes them suitable for large areas and tough terrain. These machines are ideal if you have a mix of flat lawn and rough paddock to deal with. However, they may not be the best for sloping lawns. Although lawn tractors are expensive, they don’t cost more to maintain than smaller ride-on mowers. 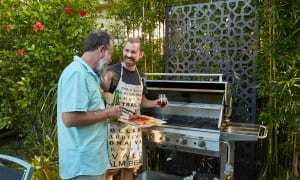 But you’ll need to be happy to keep an eye on some things, such as the battery charge and tyre pressure, to make sure your machine starts easily and gives your lawn an even cut. Most lawn tractors have a hydrostatic transmission, which automatically changes gears; you just control whether you’re going forwards or backwards by using pedals. However, if you prefer to use your hands to change gears there’s also an option to have a lever-operated hydrostatic transmission. It’s worth thinking about whether you need a model with four-wheel drive to cope with slopes and wet, muddy areas. Check that the deck height can be changed easily to suit the time of year and length of grass you want. If you want to do more than mow then a heavy-duty garden tractor, capable of handling more than five acres, may be what you’re looking for. Garden tractors generally come with an integrated tow-bar and power source at the back, so you can attach different accessories that allow you to use it for much more than mowing. Trailers and grass collectors are fairly common choices, but you can get leaf blowers and chemical sprayers, too. Don’t get carried away with the extras. Unless you have a very flat lawn, lawn sweepers, aerators, rakes and other lawn-care equipment can be tricky to use. Members who own a garden tractor told us it’s worth going for a smaller cutting width, but splashing out on a powerful engine, 500cc and above, and power-steering, so the machine is easy to use, no matter how long your grass is. Should I buy a mulching mower or a mower that collects the lawn clippings? Dedicated mulching mowers give the best result - the blade cuts the clippings until they are very fine, and then blows them into the lawn, where they decompose and help feed the turf. The cheaper systems rely on airflow to push clippings into a collection bag. More expensive ones use a powered sweeper to brush them up, or an integrated rear-collection system. If you don’t want to pick up the clippings, you can often buy a deflector, which goes on the back or side of the mower and helps to distribute the clippings evenly over the lawn. If you do decide to buy a collector mower, look at the size of the collection bag. The larger it is, the less frequently you’ll have to stop to empty it - although it will also be heavier. Some have to be emptied manually, while others have an automatic tipping system to reduce the effort involved. Lawn tractors that have mid-mount cutting decks with side ejection give you the option of spraying the clippings from the side of the deck when you don’t want to collect them. Manual is the most common option; this system uses a clutch to change gears and will be familiar to most car drivers. However, the hydrostatic systems is easier to use and good for going round obstacles, but is more expensive. Models with hydrostatic transmission also have better speed control and many offer cruise control, which is great for cutting large, open areas. The wider the cutting width, the quicker the mower will get through large areas of well-maintained grass. However, don’t buy a mower that’s wider than the narrowest gap that it will have to fit through (gates, for example). Also consider how wide your storage area is, as you’ll need to be able to park the mower. When considering how powerful an engine to go for, think about what sort of additional tasks you’ll want to perform (such as pulling a trailer). Also, what sort of terrain will you be working on? Going up steep ground takes more power. A popular name for ride-on mowers. As a brand, it’s well known for its engines, which have a reputation for reliability. It has a modest range of machines that are mid-priced, ranging from small ride-on mowers for around £2,000, to garden tractors costing more than £4,000. Husqvarna, which owns Flymo, has a very large range of ride-on mowers with the cutting blades at the front, as well as lawn and garden tractors. The Swedish brand has a reputation for making easy-to-use lawnmowers. 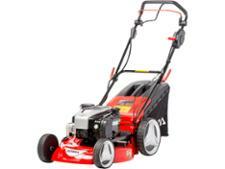 Models range from domestic mowers for around £2,000 to commercial ones for parks for £12,000. A well-known name for large garden equipment. It’s a premium brand, associated with farm equipment. The smallest lawn tractors cost over £2,000 and tend to be heavy machines that can deal with a large range of attachments. Kubota manufactures a huge range of garden tractors and ride-on mowers, many of which are aimed at amenity use, such as on golf courses or sports pitches, and have price tags to match. The brand is well known for zero-turn mowers. You can expect to pay around £4,000 for the smallest Kubota lawn tractor, but if you’re looking for a professional-quality machine, the brand is worth considering. Owned by Global Garden Products, Mountfield is the second most popular brand of lawn tractor with members. Mountfield mowers are widely available, so getting them serviced is easy. The small range of ride-on lawnmowers and lawn tractors are a lot less expensive than other brands, and cost just over £1,000 for the entry-level ride-on mower, and £5,000 for the most expensive lawn tractor. Stiga is also owned by Global Garden Products, but the range of ride-on mowers is wider and focussed on larger gardens. 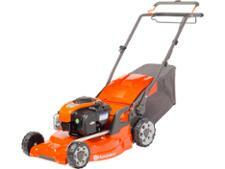 There are zero-turn models and a large range of mowers with front-mounted cutters to cut close around obstacles. 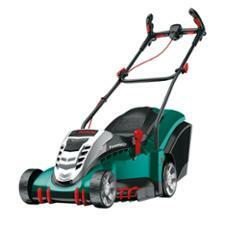 Although you can buy a small ride-on mower from Stiga for around £1,000, it has models that cost up to £25,000. This British firm makes garden tractors and is the second most popular brand of garden tractor with our members. Its models have some features specifically designed to appeal to a British market. For example, if you buy a machine that collects the grass clippings, it comes with a heavy rear roller to add stripes to your lawn. Prices start at £3,400 for the smallest garden tractor. Some manufacturers offer extended warranties and others, such as Honda, offer a five-year warranty, conditional on an annual service. Most are subject to normal maintenance, which is often outlined in the operator’s or owner’s manual. Servicing can cost up to £200, depending on the model. Punctures are usually only a problem where there are thorny hedges, but tyres can be protected by puncture-proofing products. Now your lawn is sorted - what about the patio? Head straight over to our guide on the top five pressure washers.